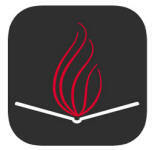 The Birmingham Public Library's Mobile App lets you access the library from your phone or tablet. Access your account, renew and place holds, and have a copy of your library card with you at all times. Check the library's catalog in real time and find the newest additions to the library. Connect directly to our online collections of eBooks, eAudio, and other digital items. See a book that looks interesting? Scan the ISBN bar code on the back of the book to see if it's in the library catalog!